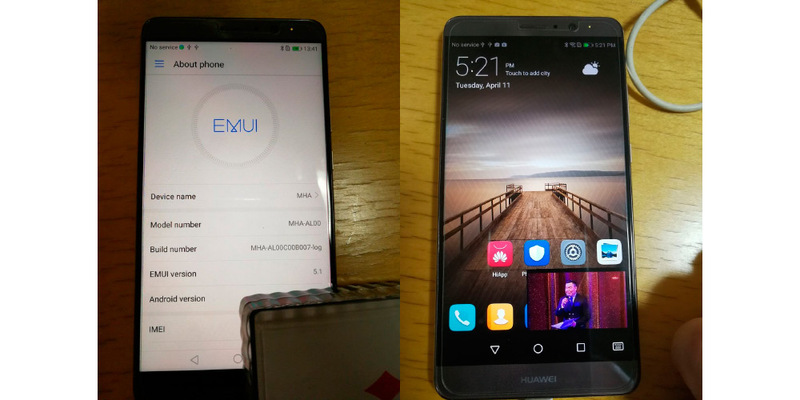 A few days ago, an XDA user confirmed that the Huawei Mate 9 is being tested to see if it is suitable for Android O, Huawei being in possession of this test compilation, which would actually be very limited in terms of most of the features (only in Chinese and English, do not work well in several aspects and is also pre-rooted). After further investigation, the XDA team was confident enough to corroborate the veracity of the information provided by the user, and since then we can feel relatively confident about the validity of this information, especially thanks to the images that show it. Google usually never publishes the source code of a new uniform distribution before it is official; however, in order to allow manufacturers to start working on their personalization software, opening up to a development has started practically after the first Developer Preview of Android O, a practice users thank for, and hopefully translates into greater speed when receiving relevant updates. In fact, Huawei is one of the first OEMs to have started testing, thanks to a close collaboration with Google undertaken in recent years. As the information has been leaked through XDA-Developers, a hired user of the Chinese company would have confirmed that they would already be working on a trial version of Android O, in particular on the Huawei Mate 9 released late 2016 with Android 7.0 Nougat on board and with EMUI 5.0. The irrefutable confirmation that this test firmware exists is precisely in the images that we show you in this article, where the smartphone is captured with one of the specific functions that must be guaranteed only through the new update: the visualization of videos in the background, even after you quit the YouTube app. The initial tests have affected, for the moment, the new options of the file manager, although we are still in the beginning of the version, and the compilation is very incomplete. Not only for the supported languages ​​already mentioned, also for Google Services, which are not optimized with the system. In any case, it is a good starting point for some third-party manufacturers, such as Huawei, who will have free access to the preliminary build, without having to wait several months since the release of the stable version. Therefore, we leave you with the images in question. Although we do not show the version number of Android, we can check the picture-in-picture feature of YouTube in the background, one of the peculiarities of Android O. As reported by the XDA forum, the compilation number has not been made public, so that the possibility of a false content can not be ruled out 100%, even taking into account that it does not make much sense to insist on the matter, taking into account that we are not talking about information leaked by outsiders, and more taking into account the veracity of XDA-Developers.